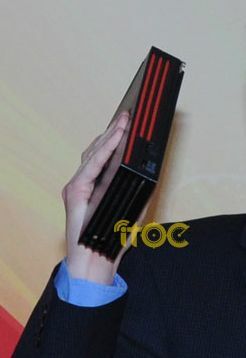 In the right hand of AMD’s Rick Bergman, you can see the upcoming dual-GPU Radeon HD 6990 powered by the Antilles codenamed GPU (two Cayman GPUs). 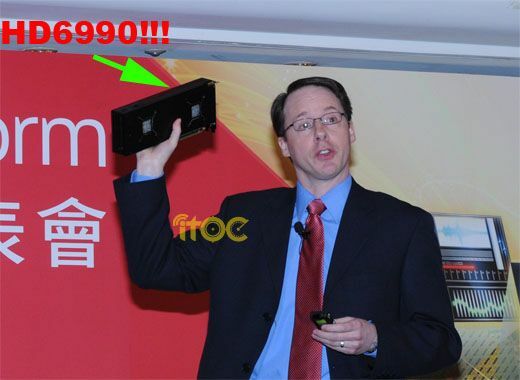 The HD 6990 is the successor of the HD 5970. Exactly what i was thinking – a brick!